The Malaysian singer-songwriter performed at Heritage SF in celebration of Asian Pacific American Heritage Month. 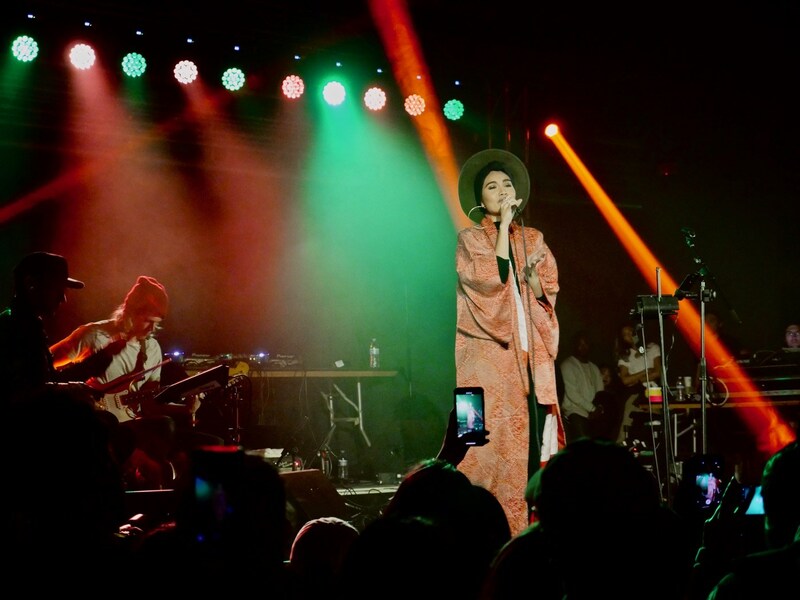 In an obscure warehouse tucked away in San Francisco’s Dogpatch district, the smooth R&B musical stylings and feel-good sentiments from Malaysian singer-songwriter Yuna filled the room. The warehouse and live music venue, complete with a dedicated hallway of neon art signs from local artists, with local vendors selling their clothing, wares and goods, brought in over 5,000 attendees to celebrate the city’s first Heritage SF. Now, it’s been a while since we’ve heard from Yuna. An extremely intimate and personable performer, her live shows are captivating. She engages with the crowd as her smooth hip-hop beats, keyboards and synths fill the room. Her voice, breathy and soft as she sings about love and ex-lovers, is cool and satisfying. Above all, her lyrics are incredibly disarming. Follow Yuna on Facebook, Instagram and Twitter.